Macclesfield Town eased to victory over struggling local rivals Altrincham. The Silkmen, who lost their last two National League games and were also knocked out of the FA Cup by Portsmouth, almost trailed when Jordan Sinnott's long-range shot hit the bar. But Kristian Dennis slotted the hosts ahead and, after Damian Reeves shot wastefully wide for Alty, a deflected Danny Whitaker strike made it 2-0. And Chris Holroyd slid in the third to seal victory with nine minutes left. Match ends, Macclesfield Town 3, Altrincham 0. Second Half ends, Macclesfield Town 3, Altrincham 0. Foul by Jordan Sinnott (Altrincham). Offside, Altrincham. George Bowerman tries a through ball, but George Bowerman is caught offside. Attempt saved. Reece Styche (Macclesfield Town) right footed shot from the right side of the box is saved. Attempt missed. Danny Whitaker (Macclesfield Town) right footed shot from outside the box. Attempt missed. Scott Leather (Altrincham) right footed shot from outside the box misses to the left. Goal! Macclesfield Town 3, Altrincham 0. Chris Holroyd (Macclesfield Town) right footed shot from outside the box to the centre of the goal. Assisted by Danny Whitaker. Substitution, Altrincham. Michael Rankine replaces Ryan Crowther. George Bowerman (Altrincham) wins a free kick. Substitution, Altrincham. Nicky Clee replaces Josh O'Keefe. Ryan Crowther (Altrincham) wins a free kick. Second Half begins Macclesfield Town 2, Altrincham 0. First Half ends, Macclesfield Town 2, Altrincham 0. Goal! Macclesfield Town 2, Altrincham 0. 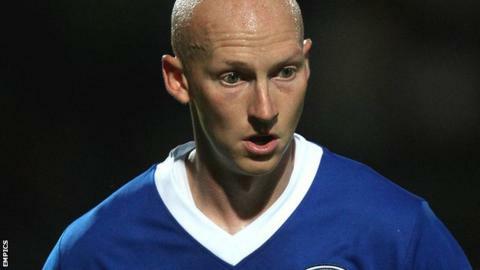 Danny Whitaker (Macclesfield Town) right footed shot from outside the box to the high centre of the goal. Josh O'Keefe (Altrincham) is shown the yellow card for a bad foul.